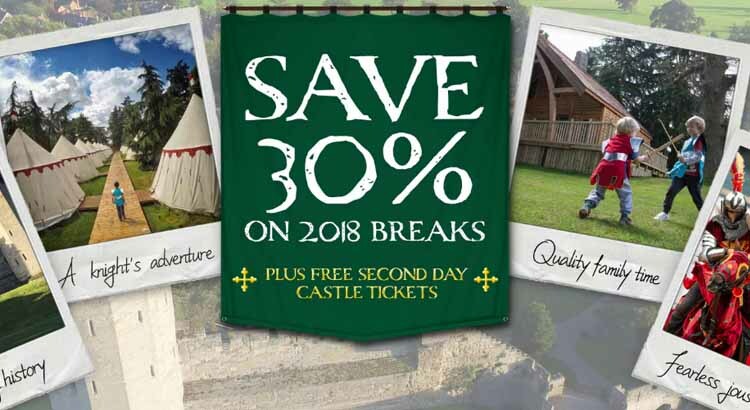 Book your 2018 Warwick Castle Break before 31st January and save 30%! Packages includes an overnight stay, breakfast and 2 days entry to Warwick Castle! Get free entry to Warwick Castle and overnight stay in a recommended nearby hotel starting from just £98 for a family of four when you make the most of this Early Booking Offer! This special early booking offer not only includes overnight stay but also a delicious breakfast plus your second day free – all from just £98. Simply click on the link below for more info. 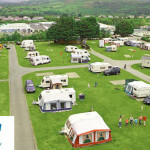 Nearby partner hotel lead price of £98 per family is based on a family of 4 sharing a standard room at the Holiday Inn Express Warwick Stratford-upon-avon on selected dates in 2018. An overnight stay and a delicious breakfast. Plus you’ll receive FREE second day Castle tickets! So it’s simple, not only will you save 30% on entry to the Castle compared to an advanced ticket purchased online, you will also have a whole extra day to experience all the history, magic, myth and adventure awaiting you at the Castle! Where can I stay on my Warwick Castle Break? If you really want to experience Warwick Castle Break you can now book an unforgettable stay in their new Knight’s Village. 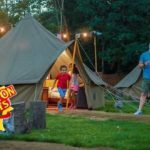 Situated in a secluded woodland grove on the Warwick Castle Estate you can choose from a selection of mediaeval themed Glamping Tents , or for a luxurious stay, choose one of the brand new Knight’s Village Lodges with stunning views of the River Avon. By staying on the estate you are never too far away from all the action with some spectacular evening entertainment in the Village and breakfast in the Mediaeval Banqueting Hall. 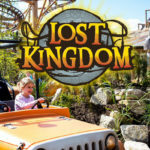 If you are on a tighter budget and still want to explore more of Warwickshire’s local attractions on your Warwick Castle Break, why not enjoy an overnight stay with breakfast included in our one of their exclusive partner hotels, all located within easy driving distance of the castle with prices starting from just £62 per family. So why not make the most of your stay and book a Warwick Castle short break with a whole extra day free to explore and experience their unique activities and entertainment and if you book for now for 2018 you’ll also grab a bargain price too. 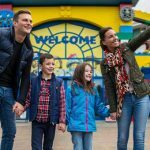 Paultons Park Peppa Pig World 2018 Breaks at 2017 Prices!